Who can qualify in SC for a sales tax exemption on utilities? Once a manufacturer or an industrial processor files a valid utility exemption certificate, Form ST-10 with its utility company, the account is exempt from sales tax. A utility study is required to determine the percentage of production and therefore the exempt portion of sales tax paid (on that utility meter). How can one obtain the sales tax exemption on utilities in SC? When a meter is exempt, the utility company will tag the account tax exempt, and the sales tax is removed from the bill. The portion of sales tax relating to non-production consumption is reported on the use tax report. No. The taxpayer may complete and submit the exemption certificate and the utility study. However most companies in SC use an experienced professional who certifies the utility study, and therefore eliminating concern that the utility company comes back on the customer for back sales tax. The utility study consists of a detailed list of every piece of equipment and appliance that uses the utility for production, e.g. electricity; and the individual annual KWH consumption must be included for each piece of equipment. The same process is required for non-production usage. These lists and the annual consumption is the determinant of the production or exempt portion of the meter. 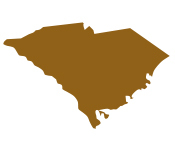 What is the scope of a Professional performing the utility exemption work in SC? Claim for refund: In SC, an exempt utility meter should qualify for prior sales tax paid up to the full 36 months covered by the statute of limitations. If a meter qualifies for a refund, On Your Mark includes the refund claim in their scope of work. Entire Process handled from start to finish: On Your Mark performs the entire exemption service and requires very little if any time and effort on part of its client. The exemption is typically completed and filed in 30 days. All questions and communication for either the utility co. or the state are handled by On Your Mark. Risk less Method to Obtain the Utility Sales Tax Exemption: On Your Mark performs the utility study, certification, and refund claim at no charge. If there’s no savings, no fees. The only fees occur after the exemption and refund claims are approved, and the client receives savings. Benefits of the sales tax exemption on utilities: Typically a 5-8% savings is obtained once the SC sales tax exemption is approved, and the sales tax is immediately removed from the bill .